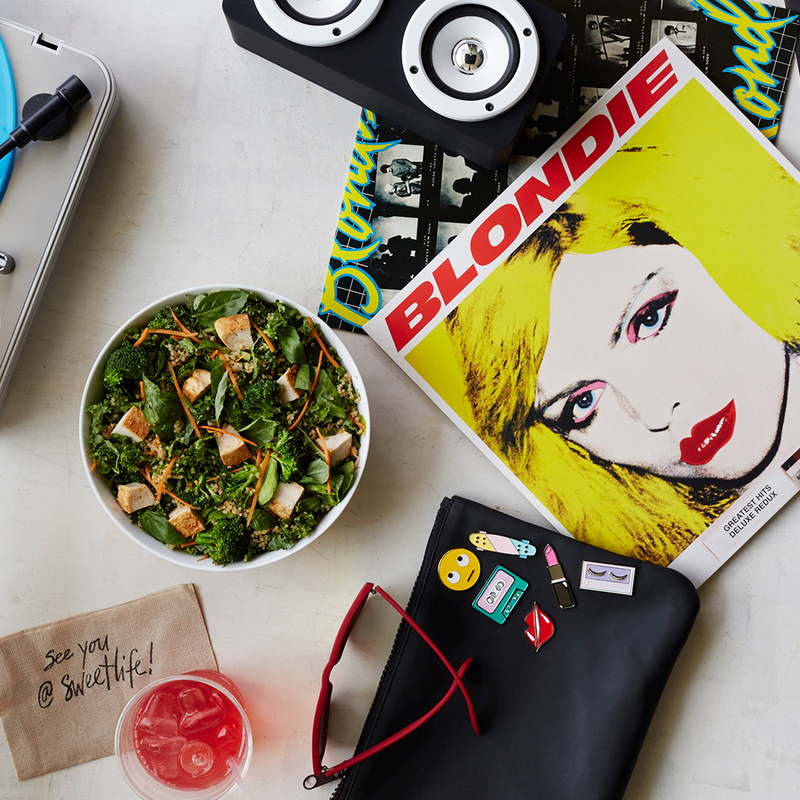 If the music of Blondie leaves you in rapture, wait until you try the salad she inspired. Blondie, alongside Eagles of Death Metal and Shamir, will be headlining the Sweetlife Festival next month in Maryland. To celebrate this union Sweetgreen has created a salad in their honor. Sweetgreen operates under a mission of bringing simpler, healthier food to communities and the festival is all about merging great musical acts with chef collaborations and art installations. The salad, in Blondie’s honor, named One Grain or Another, contains warm grains, local kale, carrots, pea shoots, roasted chicken, basil, spicy broccoli and carrot chili vinaigrette. It will be available from April 14th to May 23rd at all Sweetgreen stores, and at the Sweetlife Festival. “We are excited to partner with Sweetgreen on our very own grain bowl. We admire Sweetgreen’s energetic approach to challenging the status quo, and the way they have built a cult-like following.” says Debbie Harry, of Blondie. Even better, 10% of all proceeds from the One Grain or Another salad will be donated to Partnership for a Healthier America's FNV Initiative, which is working to connect consumers with more fruits and vegetables nationwide.